ASRock confirmed through its official Twitter account that the Intel Coffee Lake processor family, based on the same socket LGA1151, will not be compatible with motherboards based on the Intel 200 Series chipset (and therefore also the 100), so if you have a motherboard of such series and you thought to upgrade to a 6-core processor, sorry, in addition to the processor you will have to buy a motherboard with the same socket LGA1151, but with the Intel 300 chipset to be announced next to these CPUs. 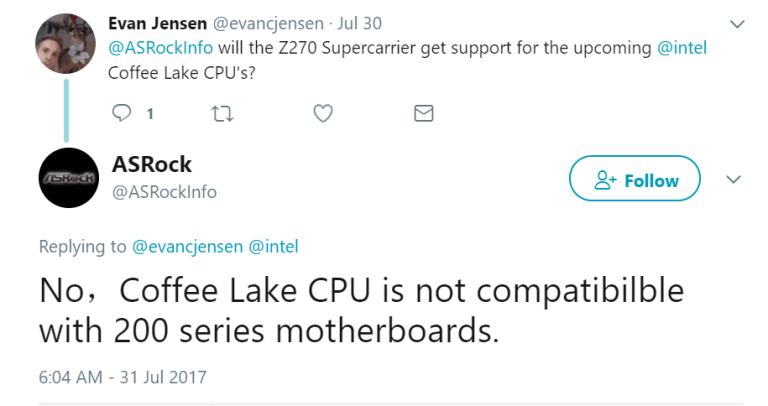 These motherboards will not be available Until October, according to our sources, so that the launch of Coffe Lake CPUs rumored for August, will be useless if it is true. 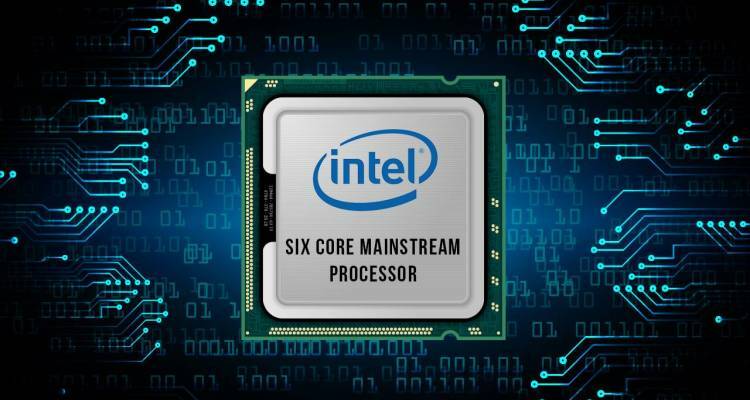 We are still awaiting for the official statement from Intel, and the technical justification that would explain this setback, especially the great work of backward compatibility in which AMD has committed to the socket AM4 for years to come.